Ohio where do you have your humidifier set at? The knob on mine goes from 0-5...mine is set at 2...I found if I set it higher, I'd wake up w/ water dripping on my nose and face b/c the air temp in the room would condense that moisture in the tube...below that, my throat felt too dry...though, on the occasional time when I have stopped up sinus, due to a cold or allergies, I move it down to 1, and it helps dry the sinus out and clears it up . Nuke my current machine takes cards in the back that download the data to the sleep doctor. My old machine would just record the number of hours the machine was used. They are letting me try out the nose pillows and the full mask. Tried the nose pillows the first night...rough to say the least. Getting used to the full frontal mask and making some progress. They have my setting getting to 10 and they said I had it BAD from my sleep study. Getting a little more energy day by day but am aware that it takes a while. Good luck to everybody! 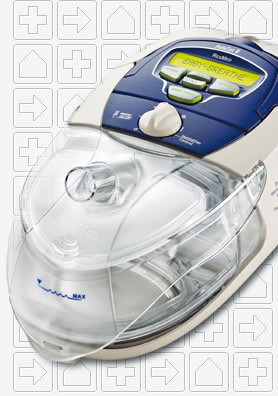 My C-PAP machine is a ReMaster Plus M Series...I use the Respironics Comfort Series Gel Mask. I use the Mirage Swift II Pillows. Flying, I have the exact same equipment, I need to take Ohio's advise and use it when I nap, because I find myself gasping for air on occassion. You & I use the same setup. I have the same machine, but use a full face mask.